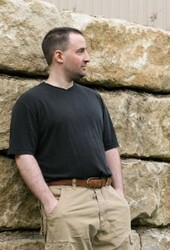 Jim Butcher is the author of the Dresden Files, the Codex Alera, and his new steampunk series, the Cinder Spires. His resume includes a laundry list of skills which were useful a couple of centuries ago, and he plays guitar quite badly. An avid gamer, he plays tabletop games in varying systems, a variety of video games on PC and console, and LARPs whenever he can make time for it. Jim currently resides mostly inside his own head, but his head can generally be found in his home town of Independence, Missouri.